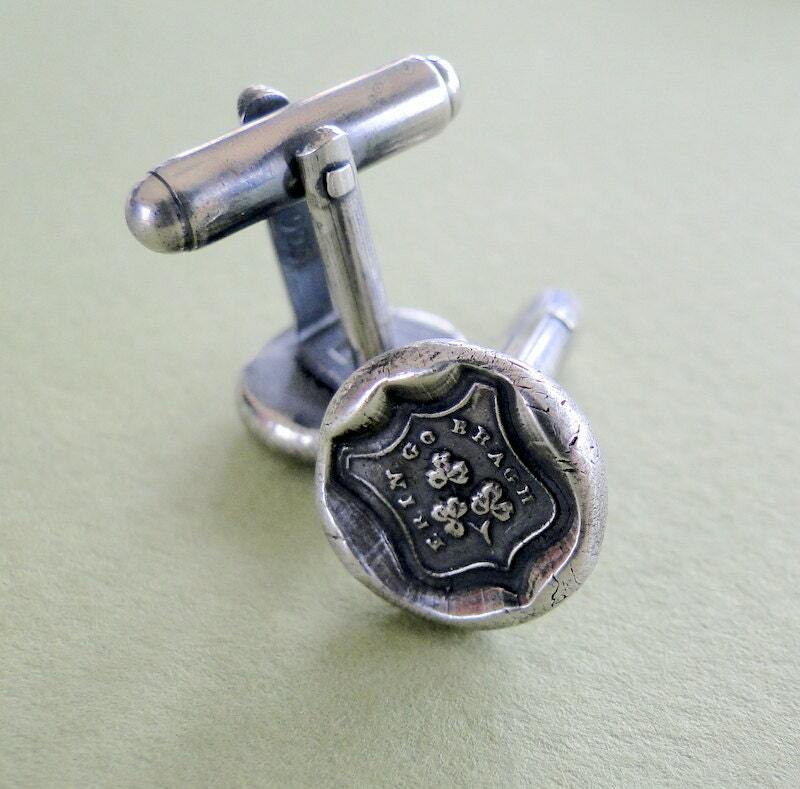 Erin Go Bragh... shield shape .... antique wax seal, sterling silver, Irish, Shamrock, Ireland Forever. 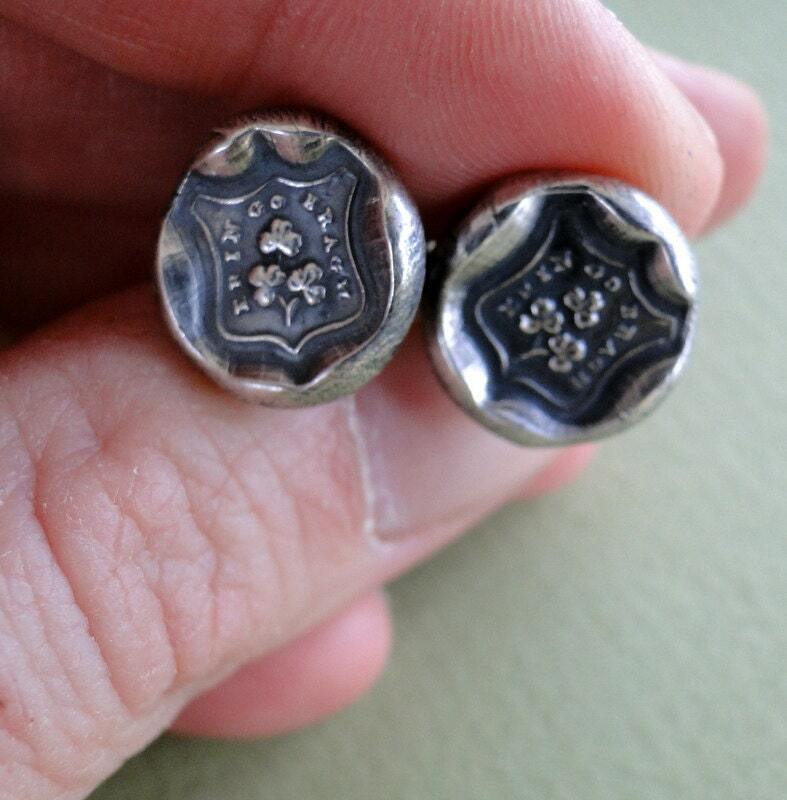 This seals features a sprig of shamrock.... one of the most recognizable Irish Emblem. 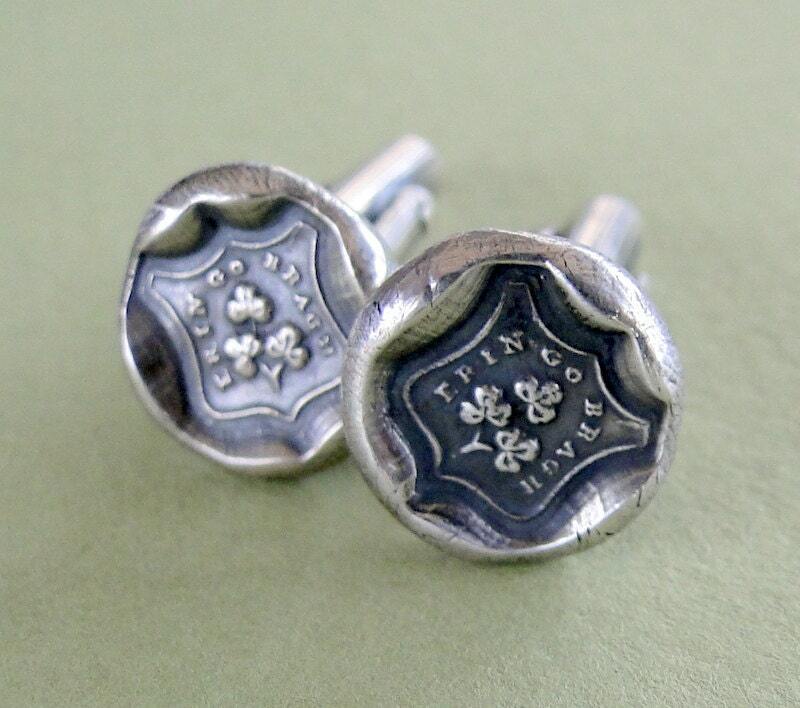 Therefore it is a perfect emblem to wear for St. Patricks day... as a gift for someone who is emigrating or for one of the many Irish Diaspora around the world. 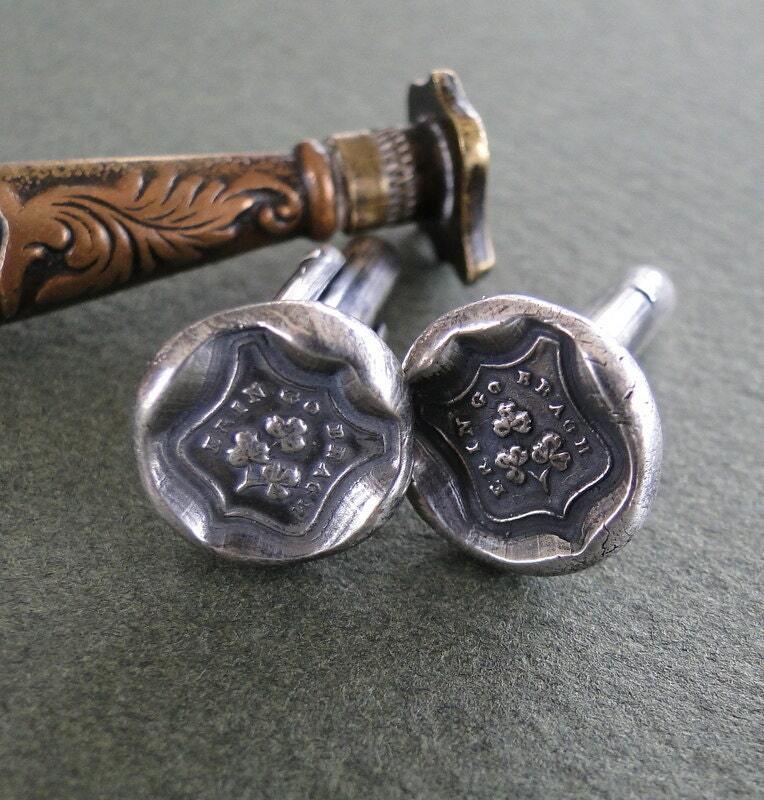 The cufflinks measures approx. 13.2mm across the centre. This may vary however as each one is made by hand. 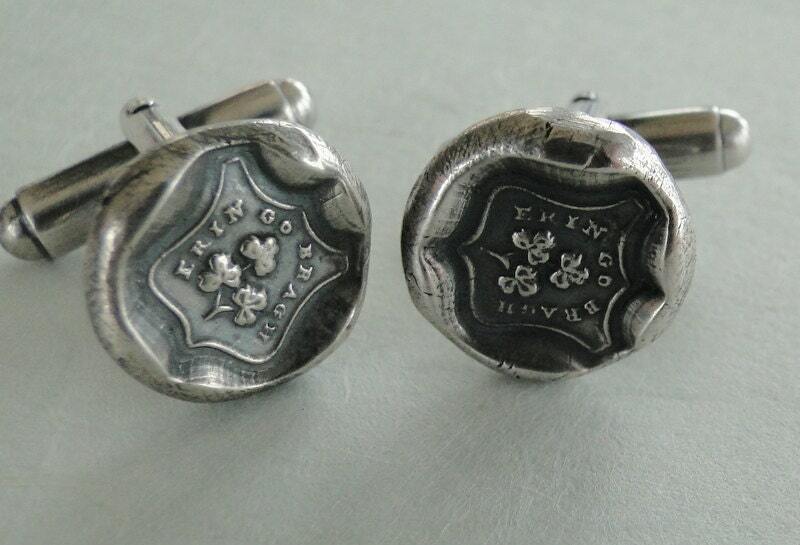 These cufflinks are ready to ship..... and will be posted within two working days of receiving your order.